3M™ Surface Protection Film 3952 is a fluoropolymer film suitable for co-cure applications. This tape is designed to provide excellent substrate protection and as a high performance, low surface energy solution for both interior and exterior applications. This fluoropolymer film is more chemically resistant than urethane protective films, making it ideal to resist fluid ingress. 3Mâ„¢ Surface Protection Film 3952 is a fluoropolymer film suitable for co-cure applications. This tape is designed to provide excellent substrate protection and as a high performance, low surface energy solution for both interior and exterior applications. This fluoropolymer film is more chemically resistant than urethane protective films, making it ideal to resist fluid ingress. Excellent Substrate Protection3Mâ„¢ Surface Protection Film 3952 is a 3.5 mil fluoropolymer film. The fluoropolymer films low surface energy makes it inherently resistant to moisture, chemicals and environmental agents. It offers excellent substrate protection and paint replacement, as well as long-term color stability. It is commonly used for interior and exterior aircraft applications. 3Mâ„¢ Surface Protection Film 3952 meets industry flame resistance requirements for aircraft interiors, and has successfully been used in general aviation, commercial and military aircraft applications. It can be used up to 350Â°F, which is higher than most polyurethane coatings. 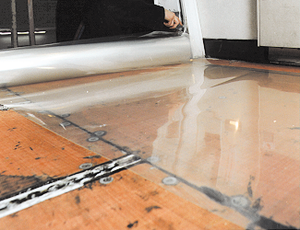 Co-Curable to Protect CompositesComposites are susceptible to fluid ingress. Fluid damage affects aerodynamics and structural integrity, which translates to increased maintenance and downtime. 3Mâ„¢ Surface Protection Film 3952 effectively combines performance and convenience to maintain the integrity of aircraft composite parts. Our temperature stable, fluid resistant fluoropolymer film is designed to be co-cured into the surface of the composite structure during manufacturing where it forms a protective surface. Easy to apply and co-cure into the surface of composite structures, it can dramatically reduce maintenance costs, increase up-time and enable safer aircraft. The film is a durable thermoplastic fluoropolymer designed for high performance and exterior applications. Our Best for Your Best3M is proud to partner with organizations across the spectrum of aerospace and related industries. Creating efficiencies, reducing process times and lowering aircraft weight is how we execute our never-ending mission to offer best-in-class adhesives, sealants and other products that effectively reduce costs.